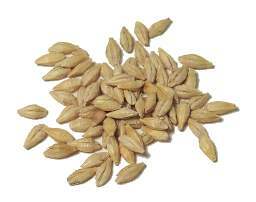 Barley's been feeding humans for millennia, though it fell out of favor during the last one as people came to see it as low-brow peasant fare. 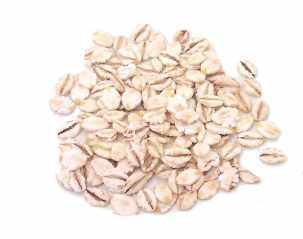 It's most often used in soups and stews, where it serves as both a puffy grain and a thickener, but it also makes a nice side dish or salad. At most markets, you'll have to choose between two types of barley. 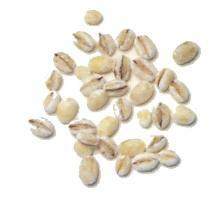 Hulled barley is the most nutritious, since only the tough outer hulls are polished off. 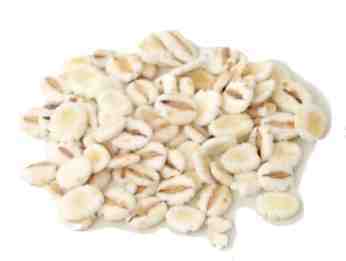 Pearl barley is polished some more, so that the outer bran layer is also scrubbed off. It's less nutritious, but more popular since it's not as chewy as hulled barley and it cooks faster. Job's tears See hato mugi. 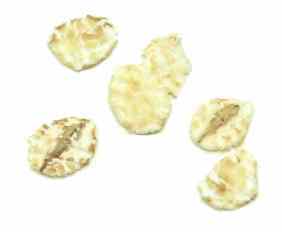 pressed barley See hato mugi. Scotch barley See pot barley. 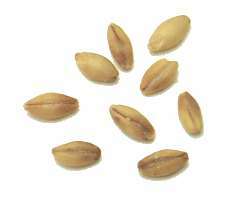 sprouting barley Notes: This is unrefined barley, used for making barley sprouts. Don't try to cook with it--it's got a very thick hull.